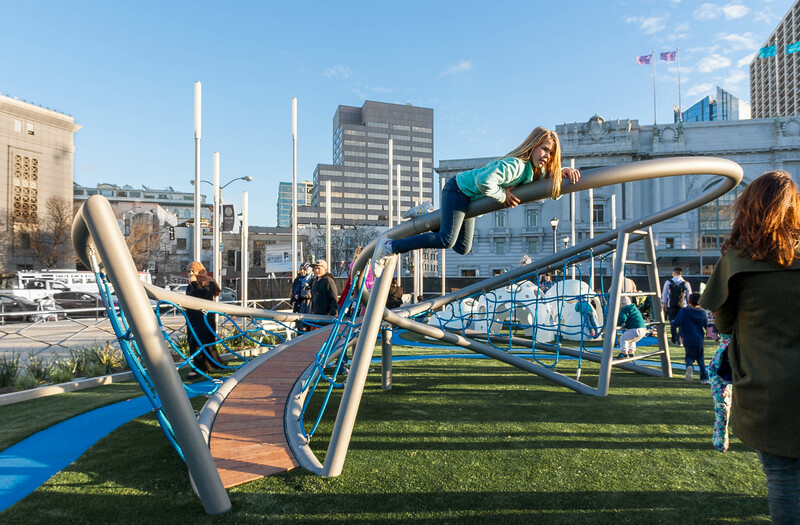 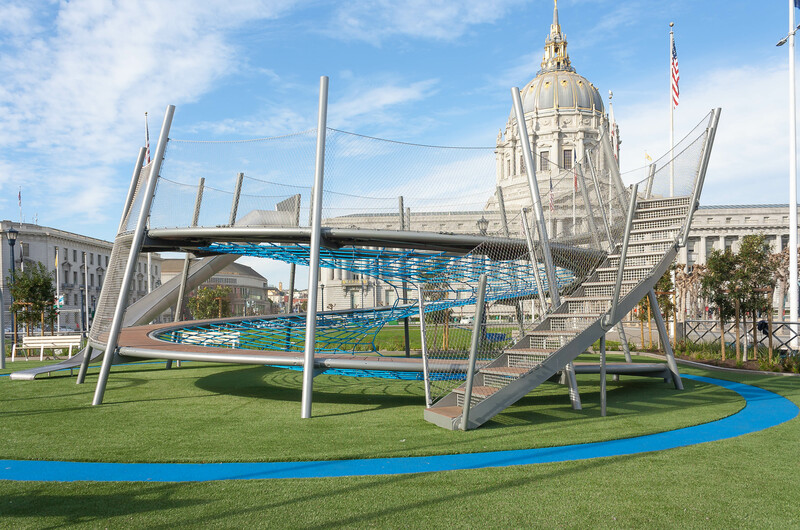 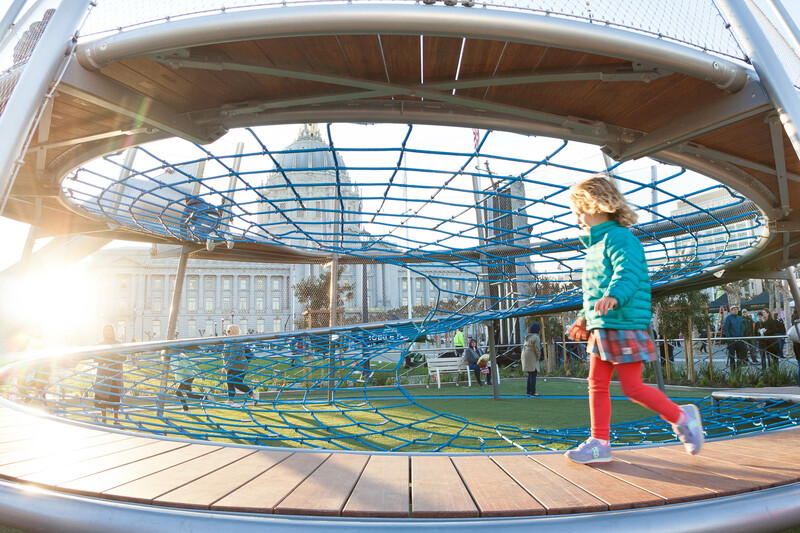 Basic structural principals combined with parametric form generation software were Endrestudio's tools of choice for these two unique playstructures for the Helen Diller Civic Center Park in San Francisco. 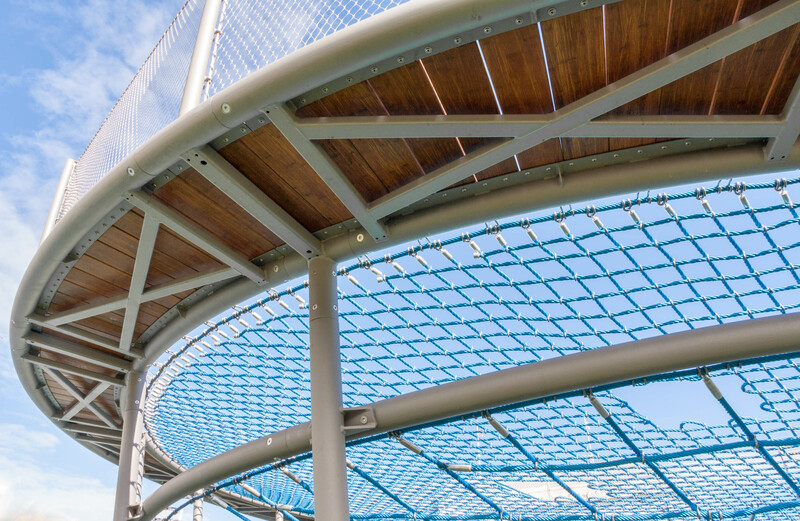 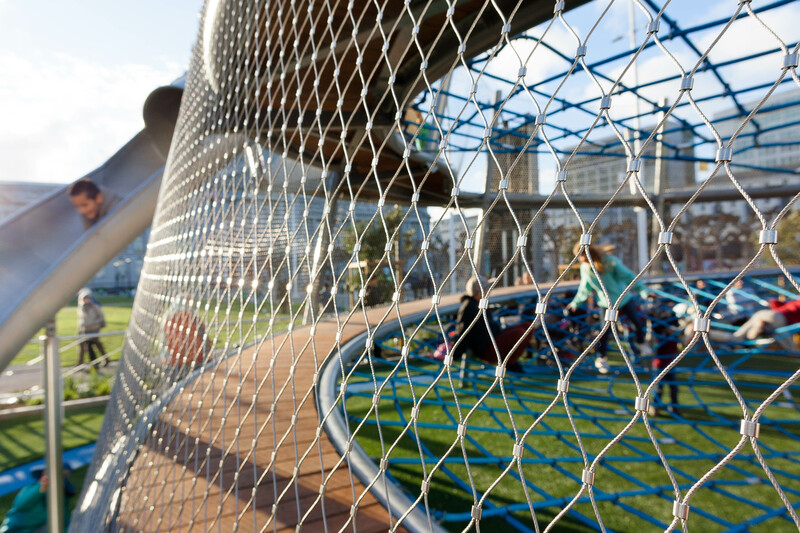 On the largest structure, three layers of play nets are interconnected through punched funnels and ringed with a walkway that would make any child - or adult - giddy with delight. 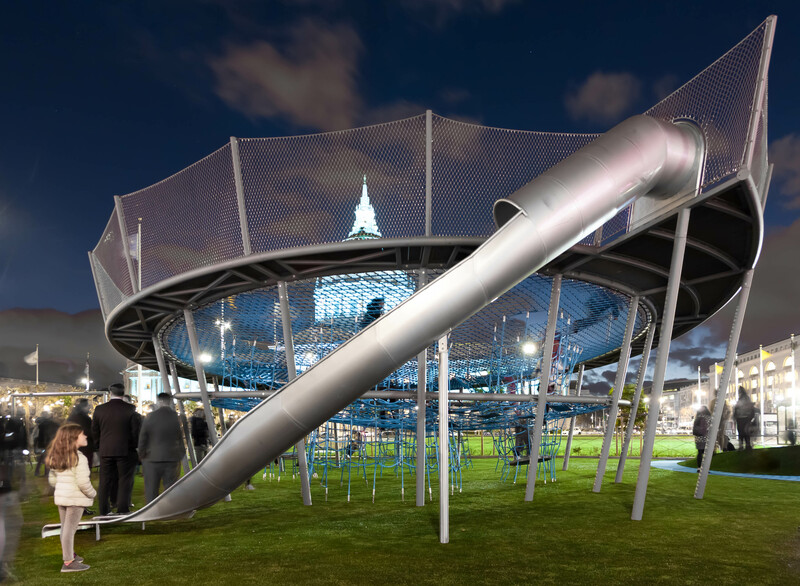 The other large structure is an open helix, which uses a twisting pathway and connected net to form a continuously rising surface that is a fun, circuitous climb - and also a controlled fall height of less than two feet.